It’s no secret that we make a mean sausage around here. Our mouthwatering varieties taste great simply served up on a bun, but there’s plenty of ways to get creative in the kitchen with Zweigle’s products. 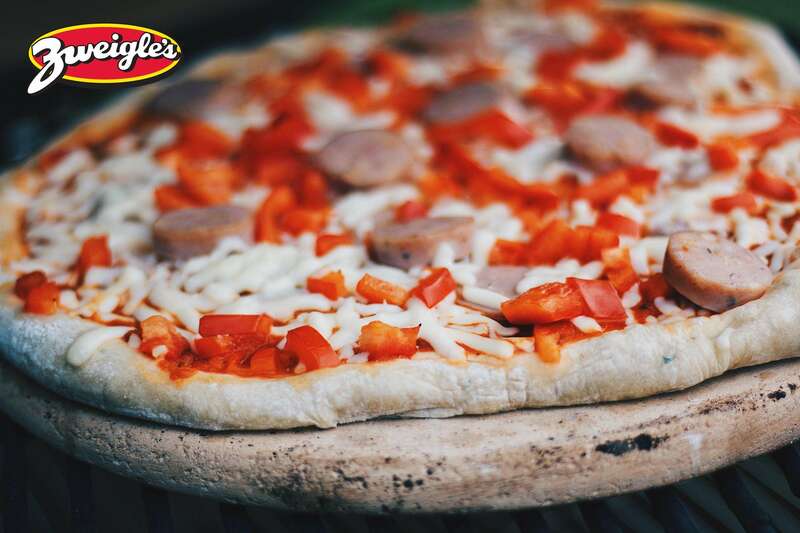 We’re sharing our take on sausage pizza, with an easy, yet delicious recipe right from our kitchen to yours. Grease baking sheet or pizza pan and preheat oven per pizza dough instructions. Cut up sausage and pepper into bite sized chunks. Add desired amount of sauce to pizza, and top with cheese, sausage, and peppers. Bake until cheese is visibly melted and crust is crispy, or to taste.